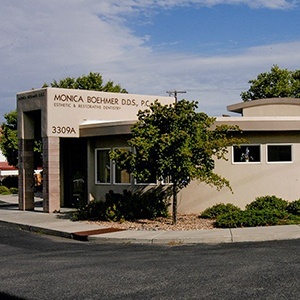 Dr. Monica Boehmer isn’t interested in rushing patients through an informal oral healthcare experience or placing “band-aids” on their problems – she’s committed to providing an entirely different level of dentistry that is rarely seen here in the greater Albuquerque, NM community. Her sense of clinical artistry and attention to detail is truly outstanding, and she’s committed to getting the job done right the first time, no exceptions. Together with her team of dedicated professionals, she looks forward to getting to know you, educating you about your dental needs, and helping you enjoy a healthier, more self-assured smile for many years to come. 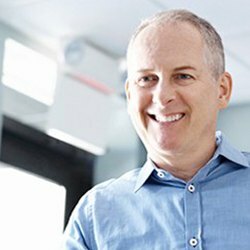 If you’d like to learn more about the unique qualities that help our practice stand out from the crowd, keep reading below. To schedule a consultation or ask any questions, please don’t hesitate to contact us directly – we’d love to hear from you. Far too often, patients spend considerable cost and time on extensive restorations that simply don’t provide a good enough return on investment. When trusting your teeth in the hands of Dr. Boehmer, this doesn’t have to be a concern. Quality is our team’s top priority at every turn, whether we’re planning state-of-the-art tooth replacement with dental implants or designing the ideal porcelain veneer for stunning cosmetic changes. As a Fellow of the Academy of General Dentistry, Dr. Boehmer’s advanced training and expertise is always held to the highest standards. While clinical skill is a significant part of high-quality care, so is the level of customer service that patients receive from the moment they walk through the front door. We take the time to learn all about your reasons for visiting, the particular goals you have in mind for your smile, and any concerns or symptoms that are making everyday life more difficult. Dr. Boehmer will ensure that any treatment recommendations are painstakingly personalized to fit your preferences and vision– our team simply doesn’t believe in “one size fits all” dentistry. When visiting our Albuquerque practice, patients won’t have to worry about being sent away to distant offices at every opportunity. While Dr. Boehmer does work with trusted specialists from time to time to ensure the highest levels of clinical success possible for her valued patients, she also offers an extensive variety of services right here in-office. From essential preventive care to outstanding cosmetic procedures to extensive full-mouth reconstruction techniques, the whole family will have the support they need in one convenient location. In addition to dentistry, Dr. Boehmer has two other things she is very passionate about: music and animals. 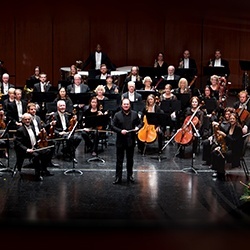 That’s why she’s a big supporter of the New Mexico Philharmonic Orchestra-- she believes that the arts are important and that absolutely everyone should have access to high-quality music performed by world-class musicians. You’ll find her front and center at most of their concerts! She is also a dedicated sponsor of our local Humane Society, whose goal is to ensure the wellness and happiness of all the animals in our area. These efforts are just her way of helping make Albuquerque a better place for local families and furry friends alike. Do you know of an individual, organization, or charity that could benefit from our support? Give us a call and tell us all about them! We’re always looking to expand our community efforts so we can put more smiles on more faces.